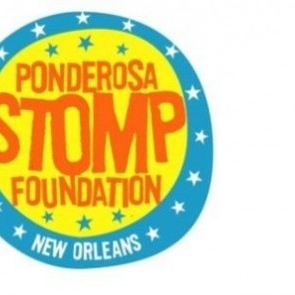 New Orleans' Ponderosa Stomp has presented the "unsung heroes of American music" for well over a decade in blues, soul, country, rockabilly and garage rock. Stomp impresario Dr. Ike shares his memories of pioneering the raucous, eclectic gathering, and we visit with this year's headliner, R&B guitar-woman-- aka the Black Female Elvis--Barbara Lynn from Beaumont, TX. We'll also hear from previous headliner, Arizona Twangmaster Duane Eddy. We're spinning tracks from Stomp artists including Gary U.S. Bonds, Lazy Lester and Linda Gail Lewis. In Hour 2, we'll hear tunes from swamped areas of the Texas Gulf Coast by Stevie Ray Vaughn, Lightnin' Hopkins, and Rodney Crowell, as the region grapples with water as both a source and destroyer of life as we know it. We'd tell you to put your feet up this Labor Day Weekend, but that might not be possible if you tune in to our show with live recordings from the annual Ponderosa Stomp in New Orleans, featuring the best in swamp pop, garage rock and surf music. We'll visit with Arizona twangmaster Duane Eddy. On the flipside, it's an archival conversation with the late Wardell Quezergue, the New Orleans music maestro and arranger known as the "Creole Beethoven." Finally the left-handed Gulf Coast guitar lady and singer known as "the black Elvis," Beaumont's Barbara Lynn. Come Stomp with us! Celebrate the Memorial Day weekend with American Routes. We'll hang out at the Ponderosa Stomp for the best in swamp pop, garage rock and surf music, all live from the House of Blues in New Orleans. Then we'll visit with the music maestro and arranger known as the "Creole Beethoven," Wardell Quezergue and learn how he helped build the New Orleans sound. Plus classic New Orleans music to get your party started. Celebrate the arrival of the New Year with American Routes. We'll hang out at the Ponderosa Stomp for the best in swamp pop, garage rock and surf music, all live from the House of Blues in New Orleans. Then we'll visit with Wardell Quezergue, the music maestro and arranger known as the "Creole Beethoven," and learn how he helped build the New Orleans sound. Plus classic New Orleans music to get your party started. This Fourth of July, American Routes celebrates our nation's birthday with two live concerts of all-American music. We'll stop by the Ponderosa Stomp, dedicated to the "unsung heroes of rock n' roll" for a good dose of rockabilly, soul, country and R&B classics, done by the originators themselves. Then it's down the street to Preservation Hall, where bluegrass masters the Del McCoury Band mix it up with the Crescent City's own purveyors of traditional jazz, the Preservation Hall Jazz Band. So fire up the grill, pull out your lawn chair and turn up the radio for American Routes. This Fourth of July, American Routes celebrates our nation's birthday with two live concerts of all-American music from the French Quarter in New Orleans. We'll stop by the Ponderosa Stomp, dedicated to the "unsung heroes of rock 'n' roll" for a good dose of rockabilly, soul, country and R&B classics. Then it's down the street to Preservation Hall, where bluegrass masters the Del McCoury Band mix it up with the Preservation Hall Jazz Band. So fire up the grill, pull out your lawn chair, and turn up the radio for American Routes. FROM THE SHOW: HAPPY NEW YEAR FROM NEW ORLEANS!